A selection of education resources available from various publishers. Including videos, websites, books, e-books and apps. 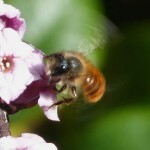 Be able to identify, classify and group pollinating invertebrates by observable features. Know and understand about the important role bees perform supporting the food chain. Describe the life cycle of a Red Mason Bee. 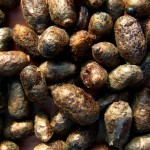 Know that eggs laid in late May/June hatch in to larvae which spin a cocoon. Know that young adults exit their cocoons and leave the nest the following spring to repeat the lifecycle. 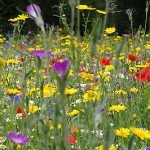 Develop a meadow area close to your Bee nest. 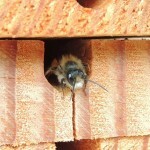 Know what adult Mason Bees require from a habitat to successfully reproduce. 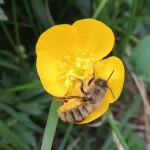 Make a list of all the plants and flowers that Red Mason Bees regularly visit. 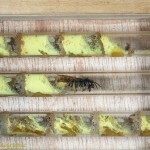 Observe and calculate how far from her nest a female Red Mason Bee travels during the summer months. Know that Bees are pollinators vital to our food chain. Construct food chains and webs to show how dependent other living things are on Bees. Understand why fruit farmers in particular use Red Mason Bees to pollinate their fruit orchards. Know that Red Mason Bee numbers can be affected by changes in climate during the breeding season, parasitic flies and the use of crop sprays in farming. 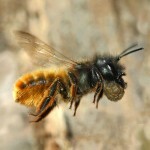 Know what actions farmers and bee keepers can take to protect Red Mason Bees from these threats.